GRAS 40AD a high-precision condenser microphone made according to IEC 61094-4 requirements and is ideal for coupler measurements in both laboratory and production environments. It is extremely robust and reliable and can measure sound pressure levels up to 148 dB and down to 16 dB(A) in the range of 3.15 Hz to 10 kHz. The presence of the 40AD in a sound field at low frequencies is minimal due to its small size compared to the large wavelengths. 40AD is individually factory-calibrated and delivered with a calibration chart stating its specific open-circuit sensitivity and pressure frequency response. 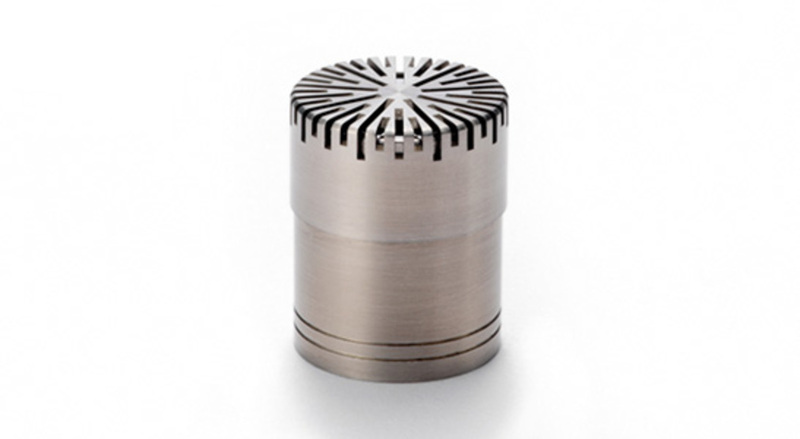 A front-vented version is available, 40AD-FV 1/2" Prepolarized Pressure Microphone, High Sens. Front Vented. The 40AD is especially suited for audiometer calibration when using an analyzer without a 200 V polarization feature. It is the ideal partner for testing headsets, headphones, and earphones, as well as hearing aids, in coupler setups. The small size makes it well suited for making flush (boundary) measurements. The 40AD is a very versatile microphone when connected to the RA0067 Transmitter Adapter for ½" Microphones. The 40AD becomes a high-impedance sound source when the RA0067 takes a calibration signal directly from the signal generator and makes the microphone behave like an electrostatic loudspeaker. In a coupler, this gives a frequency response that is as good as when the 40AD behaves like a microphone. The 40AD requires a standardized ½" or ¼" CCP preamplifier and an input module that supports this technology with a BNC, SMB, or Microdot connector. 40AD 1/2" Prepolarized Pressure Microphone, High Sens. This is the rear vented "standard" version. 40AD-FV 1/2" Prepolarized Pressure Microphone, High Sens., Front Vented. Identical to 40AD, but front vented.